I think the day you stop learning as a Chef… well, the day you stop learning is the day you stop learning. So you might as well hang up your apron. Last night I received a phone call from my cousin Mina in the San Francisco area because she saw my recipe for Koofteh, and she needed to tell me how hungry for Koofteh she was at that moment… I get that a lot. Perfect timing too, because I had a lot of questions about the Persian food recipes I had been making my own lately, and wanted to ask if what I was doing passed the Persian kitchen test. Basically, Mina told me “If you like it, do it.” Advice that I regularly give to people when they’re playing around in the kitchen, and advice I need to hear myself more often than not. Mina and I began discussing different Palow/Pollo (rice) dishes and she mentioned a spice that I had not heard of… Advieh. 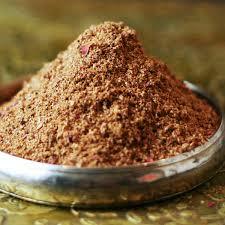 After doing some research online, it turns out advieh is used in many of my favorite Persian meals. What the…? So obviously the next step in my conquest of making Persian recipes my own, was getting down …not a “basic” ingredient, but an important ingredient. Advieh like Curry Powder, like Chinese Five Spice, or Harissa, or even Herbs de Provence, is a blend of other herbs and spices that combined with one identifiable name, become as important to any single dish as water or salt. Iranian cuisine has Advieh. Mix all the spices together, and store in an airtight container. Mix the honey, Advieh, and tahini together in a bowl until combined and smooth. Slowly whisk in the fresh grapefruit juice, and then slowly drizzle and whisk in the grapeseed oil until emulsified. Add Cook’s Line to taste. May be stored in the fridge if you have any leftover (which I never do) just whisk before serving to re-emulsify the vinaigrette.